Think of planning your event as painting a picture, and Legacy Hall is your canvas. Our facilities offer the versatility you need to make any event a success. 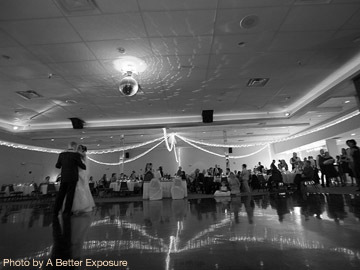 Legacy Hall is an ideal location for wedding receptions, banquets, holiday parties, and business meetings. With a capacity of 400, we work with your ideas to ensure a layout that is comfortable and tailored to the size of your group. Adjustable lighting and round tables create a warm atmosphere that is inviting to your guests. 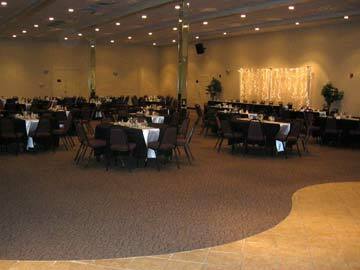 With one of the largest dance floors in Omaha, our floor can accommodate your event. Surrounded by mirrors and tiled in black, our sophisticated unique design sets us apart from others. Step outside for a breath of fresh air or a quick break. 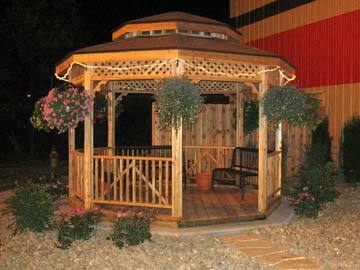 Our gazebo is a great place to relax or catch up with an old friend away from all the action inside. It also presents a great backdrop that is perfect for photographs. Our warming kitchen includes: adequate counter space, sinks, commercial refrigerator, freezer, 2 microwaves, 4 18-quart roasters, pitchers, coffee percolators and beverage dispensers. 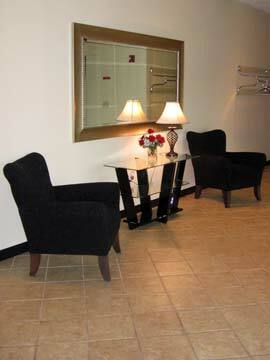 Adjacent to the kitchen is our bar area which is ideal for serving beverages to your guests. Don’t forget to rent our beer tap/cooler to make life easier for your bartender! Use your creativity or sit back and relax by using our decorations. All of our “worry free rentals” don’t require you to lift a finger. Set up and removal are part of the service. Want to use your idea and our hands? Bring us your material with an example, and for an hourly rate we will be your decorator.